Nissan Canada and Mazda Canada are recalling 117,341 vehicles combined because new testing has prompted Takata Corp. to declare millions more airbag inflators defective. The recalls have not yet been added to Transport Canada’s Vehicle Safety Recalls Database, but will be. The automakers and government agency confirmed the recalls to Automotive News Canada through separate emails, July 12. Nissan Canada is recalling 111,141 Versa cars from the model years 2007 through 2012. News of the Canadian recalls comes just a day after the U.S. National Highway Traffic Safety Administration said July 11 that the same new testing led Takata Corp. to declare 2.7 million airbag inflators defective in Ford Motor Co., Nissan Motor Co. and Mazda Motor Corp.
Takata airbag inflators are already linked to 17 deaths – including 11 in the United States – and more than 180 injuries worldwide, and the recalls will eventually cover more than 100 million inflators globally. 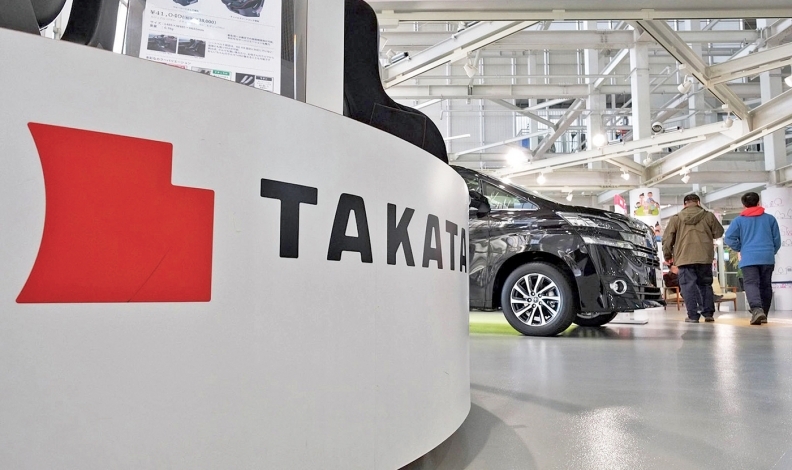 Transport Canada says on its website that it has not received any complaints from Canadians alleging abnormal deployment of airbags supplied by Takata. The agency also says it is not aware of any deaths or injuries incidents in Canada. The U.S. National Highway Traffic Safety Administration said new testing is prompting the recall of some driver-side airbags built from 2015 back through 2012. However, Ford spokesman John Cangany said the issue covers about 2.2 million Ford vehicles in the United States, and that the company has until July 17 to respond to the Takata filing. Ford Canada spokeswoman Michelle Lee-Gracey didn’t say what the next steps would be in Canada. Transport Canada said it was only aware of Nissan’s recall at the moment. “Any other Takata recalls in Canada announced by auto manufacturers would be posted on Transport Canada’s Motor Vehicle Safety Recalls Database,” agency spokesman Pierre Manoni said in an email. The latest recalls brings the total number in Canada to about 5.3 million vehicles. About 851,338 of those have been repaired.